For the third installment of this multi-post series on avalanche safety gear we take a look at the Ortovox line of avalanche shovels. Like your beacon and probe you should put some thought into what you want out of your avalanche shovel and Ortovox has models that cover the full range of desires! In order to determine which model is right for you I will point out the key differences between models within the Ortovox line and highlight my favorites! If you plan to carry a shovel and an ice axe consider the ingenuity of the Pro Alu III Shovel + Pocket Spike! Currently you can use “Take20November” at checkout to get 20% off! The lightest and most affordable option in the Ortovox line this shovel performs well but lacks some of the things I really like in avalanche shovels, i.e. telescoping shaft and optional “trench” mode. None-the-less for the price point this model features high end materials and efficient design and is an excellent choice for those who spend limited time in avalanche terrain or digging snow-shelters, pits, tent platforms, etc. For $10 more and 3 ounces more weight the Ortovox Beast adds both a telescoping shaft and a rubber coated glove friendly grip that allows better power transfer and control when digging furiously for your partner. A solid mid-range choice but for $10 more the feature list grows considerably! Like avalanche transceivers (beacons, and probes, avalanche shovels require practice to become proficient with. Store your shovel in a dedicated avalanche tool pocket in a quality avalanche backpack and practice deploying it on a regular basis. Do not take for granted the seconds that can be lost when you are unfamiliar with your equipment! Consider upgrading your rescue skills with the all new 8 hour AIARE Avalanche Rescue Course! This is a fantastic addition in the field of avalanche education and something you should consider if you’ll be spending time in avalanche terrain in the future! If you haven’t taken an AIARE 1 course yet, or maybe it’s been awhile, it’s not to late to get in on a course this season! See what dates we have left here! (Use promo code “DavidNEM” when booking)! 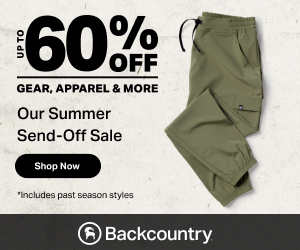 All of these models can be purchased directly from Backcountry.com here. A small percentage of your purchase will go to Northeast Alpine Start to support creating content like this. Thank you for your support! Affiliate links above support this blog. Author is an Ortovox Team Athlete and so received any product mentioned at no cost.